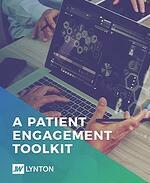 Ready to learn how inbound marketing can bring new patients to your practice? Speak to an Expert today. A reputation can make or break a business. And your healthcare organization is no exception. A positive reputation builds loyalty and increases patient confidence in your practice and services, ultimately driving engagement and bottom-line growth. Take care of your reputation with a robust and intentional inbound marketing strategy. Patients and consumers of healthcare services across all ages and demographics are active online today. Anyone and everyone can create content and publish information about your organization - whether positive or negative. It is even a powerful opportunity to bring in new patients in the awareness phase as they consider their healthcare options. At LyntonWeb, we want to help you create proactive strategy for building your reputation while reaching your ideal audience through review sites and other consumer generated media outlets. While we believe one of the first steps in reputation management is ensuring a professional and modern design of your website, there are many other important opportunities to manage your online presence. From aggregating data from online review sites to responding timely to questions or inquiries via social media platforms, your healthcare organization can’t afford to ignore the power of consumer-driven media. Whether you’re trying to engage patients, insurers or medical professionals, create a framework for campaigns that solves common marketing problems. 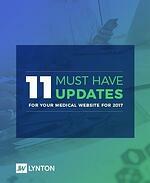 Subscribe to the LyntonWeb healthcare marketing blog to receive your free copy. Let one of our experts talk to you about your current medical website and digital marketing strategy.